Here is my entire workflow for editing photos in Lightroom. We take a photograph from start to finish. You will learn a lot in a short time! This is the ultimate Lightroom editing workflow video. 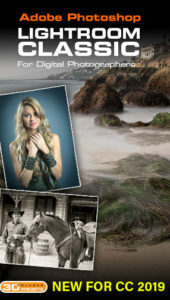 If you want more, check out this video Learn Lightroom in 15 Mins. How to organize and batch process photos in Lightroom, basically a full tour in 15 mins! I hope you guys like this tutorial! Check out my Flagship Lightroom Learning course here! 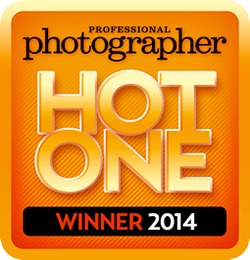 (PPA* have named it video of the year and awarded it with 2 Hot ONE awards! ) * Professional Photographers of America. Hey Cafe Crew, it’s Colin Smith here and today I’m going to show you my workflow for working on images inside of Lightroom. So, why don’t we start with one of these; this roll shot with my DJI Phantom Pro. So let me pop this one up and I guess this is as good a candidate as any, and let me walk you through the steps. Now the first thing I see is it’s a little bit crooked. I want to straighten that up, so all the adjustments that we’re going to do are going to be done inside the Develop Module, so you’re just going to click on Develop there and this will take us in. Now make sure you’re just going to click on the left-hand side here on that little arrow to collapse that side down, get it out of the way. And also, if you haven’t, make sure you drag this all the way out because that will make these sliders a little bit longer. Okay, so why don’t we start with the composition. So, we’re going to go into the cropping here and I’m just going to rotate this around a little bit. And you can see on the guide there where the horizon should be, see that? And we’re going to lose a little bit of that sunset, but that’s okay because that’s really not the emphasis of the picture. It’s actually here and, if anything, we might be even able to crop this in a little bit and maybe make it a little bit more dramatic. So what I’m going to do is I’m going to keep it about there. Now, the reason I’m doing this is, you know, we get that out of the way because it’s a bit of a distraction. And, also, I really want to bring the sky into this and make this more about the sky because of the clouds that are really powerful. So, I’m going to hit Enter to apply that. Now, the next thing that I want to do is some lens correction because there’s a little bit of warping and stuff, so we’re going to go down here. We go down to the Lens Correction and then what you want to do is click on Profile and then Enable Profile. And then, what it’s going to do is it’s going to enable you to choose your Camera make and lens. So, right now, I’m using a DJI and there, it grabbed an Inspire 1, which is not what I’m using. I’m actually using the Phantom 4 Pro, but we can just grab this and it’s going to be pretty close. All right, okay, let’s go back up to the basic under here and this is where we’re going to do the majority of our overall adjustments. Now, the first thing I need to do is fix the white balance because I’m looking at this and it feels a little bit cool, so I can eyeball this and it’s one of the ways I like to do it, actually, it’s just to move this across until it feels about right. Now, you can use this Eyedropper Tool if you want and go over an area that should be white or neutral gray. And if you click, that will create a perfect white balance. So what that will do is actually move the temperature and the tint to get you where you want to go. I’m actually going to double click the tint because I want to put that back. And I’m just going to pull it back because I kind of like a little bit, just a little bit moody there. All right, so as we can see, now, we’re going to move down to this area here–the Tone. Now, basically, what we’re going to be doing is adjusting the brights and the darks. That’s what this does, and this is the way I approach it. You could start with the Exposure and you can see, okay, that looks pretty good. So I’m actually going to pull that exposure down a little bit. I’m going to skip the Contrast because the whites and blacks do the same thing. Now, I’m going to recover the highlights. I’m going to drag that all the way up. And, in fact, I’m going to go all the way there because notice how it just brings out the drama in the clouds here and it’s creating a little bit of separation between that and the water. Now, I’m going to open up the shadows a little and see how it happens, you know, kind of see how it looks here, just kind of think about these rocks where they’re completely blacked out. I’d like to show a little detail. So, let’s see how that kind of looks. Okay, I can go a little bit, like maybe to about there. Notice I’m not going all the way and giving it, you know, even though there’s a lot of detail there we could pull out. It starts to look a little fake HDR when we do that. So, I’m going to pull it over this way where I can see a little bit more of the detail and the colors on top of the rocks. Now, the next one that we’re going to adjust is going to be the whites and the blacks. Now, if we look up here at the histogram, you can see, there’s the blacks and there’s the whites. Now, another way of working is actually grab these regions in the Histogram and you could actually drag in those regions. Notice that we can adjust those blacks and whites that way and notice that’s adjusting the black slider. If I go to the other side, it’s going to adjust the white slider, see that? So we can kind of do it that way and, also, you grab in the middle here, this is going to change the Exposure slider, see that? And then we go here, it’s going to do our shadows and here’s going to do our highlights, so you can work there in the Histogram if you like. I prefer to move the sliders. It gives me a little bit more control. Okay, so overall, we’re starting to get there. Now, clarity is something that, you know, can really help a photo or ruin it, so if we could play around with that clarity, notice as you increase, it does make the image look apparently sharper. If you go too far, it looks like that fake HDR effect again. So, I’m going to give it just a little touch. A lot of the time, I don’t use the Clarity, but in this case, I want to give it a little bit more snap in the clouds. The same thing with Vibrance, I’m going to just give it a little touch; not too much, but just a little bit of Vibrance. Notice that gives us more color here in the water and in the sky. All right, so at this point here, we’ve now finished doing the big moves, and if we want to look at the before and after, this is where we’ve gone so far. Now, I’m going to do localized adjustments and this is where a lot of the magic is going to happen. We’re going to start out by darkening the sky by grabbing the Gradient Tool. And here we have the gradient and notice everything is pretty much set. I’m going to double click the blacks to make sure that that is reset. And what I’m going to do is I’m just going to click and drag down. And now I’m going to go to the Exposure and drop that just ever so slightly, not a lot of exposure, but one of the things I love to do is to take the highlights all the way down–just a little secret kind of source thing that I do–not so much on the exposure because it makes things look dark and muddy if you go too far, but, by doing the Exposure with the highlights, notice that you can get a lot out of it. Okay, so this here determines how abrupt this change is. See that? So, now, it’s not so feathered and if I grab the dot, I can drag it down. So I’m going to drag it up to about here and that’s looking pretty good right now. I could play around with it a little bit more and one of the other things I like to do sometimes is play around with the temperature, maybe cool it down a little or warm it up in the sky. In this case, maybe cooling it down a little bit might give us an interesting result. Now we can do the same thing by adding another gradient in the bottom. I hold down the Shift key and that will constrain it. And you know, obviously, that’s too much. I’m just going to double click to reset all of those. Okay, now let’s take the highlights all the way down and there’s not really much to recover and I’m just going to pull the Exposure down a little bit and bring this up, so just very kind of a gradual move. Here we go. And, maybe play around with the color a little bit. Do we like it warmer or cooler? You know what? I’m just going to leave it. Okay, so now we’ve done the Gradient, we click on the Gradient again to get out of there; once again, before and after. You can see things are starting to pop now. Now, what I want to do is I want to go in here and I want to brighten this up a little bit manually. So what we’re going to do is actually dodging and burning inside of Lightroom, so we’re going to be using the Brush Tool here. See this brush? This is the localized Adjustment Brush and I’m going to use the left bracket key to make it smaller. All right, so the first thing we’re going to do is we’re going to do our brighter areas. So, we’re not necessarily sure how bright it’s going to be, but what I’m going to do is I’m going to turn off the Auto Mask because the Auto Mask will select areas and it will kind of isolate those. I don’t want to do that because it creates hard edges. It works really well in a lot of things, but just not in this particular scenario. Feather all the way up is good. The size, as you can see, you know, we can adjust that. That’s the same thing we do with the bracket key. Now here’s the thing, I want to have this Flow down quite low. You can have it all the way up and then when you do, it will apply it. Let me just show you if I was to brighten that up. If I have Flow all the way up, it just brightens it very, very improperly. I’m going to undo that and if I bring the Flow down quite low here, now, when I do it, notice it doesn’t look as much. And, in fact, I’m using my Wacom pen right now and see as I spend a bit more time, I can slowly build that up. Okay, I’m going to go a little bit further than 9, maybe bring it up to about 15 and see how that works. Yeah, that’s good. Okay and the Density, what that does is that limits the amount of dodging and burning you can do. So right now, I can go all the way to 100. If I keep going, it will become pure white. If I drag it down, I can I can limit that. So it’s kind of like a brick wall limiter, so to speak. So, I’m going to bring this up to about 20 and then I’m just going to go in here with a small brush and I just want to brighten up some of these little areas here where the water is kind of facing towards the sun. Remember, the light direction is coming from the left across, so I’m just going to kind of just brighten it up a little bit, just give it a little bit of life. There we go and I’m going to go real small in here and just give that a little touch. There we go and the same thing on the right here. I’m going to do the same thing there in that rock face. I’m going to brighten up that rock face a little bit that’s facing the sun, see that? And let’s do that up there. And what I’m going to do is just overall, just give it a little bit of brightening around those rocks. It’s pretty subtle, what I’m doing here. And that’s just kind of bringing out a little bit more detail there. And maybe this little trough here, I’m going to lighten that up a little bit on the side facing the light. And let’s make a nice big brush and I’m just going to brighten up the horizon line there because we know we’ve got light coming in. In fact, let’s go real big. We’ve got light coming in from this side, so let’s enhance that light a little bit. There we go. And maybe just over here, I’m going to lighten that up a little bit. Okay, we’re starting to get there and give it a little bit of light in there. Now we’re going to go the other way. I’m going to create another one and you can see this is the area that– let me just show you there. That’s what I’ve done there. And working here with this brush, let me just show you if I turn that off, you can see, that’s what I’ve been brushing, see that? See how it’s just bringing some life into that image and also guiding the eye into the area of detail, really making that come alive. Okay, so I’m going to click New. I’m going to create a new brush and this time, I’m going to turn the Exposure down the other way, and I’m going to use this preset adding some shadows. So what I’m going to do is I’m just going to go into this little nook and crannies here and just add a little shadow in there just to give it a little bit of depth and definition. And what this will do is it will make it look a little bit more three-dimensional. It’s subtle, but you’ll see the difference when I show you the before and after it’s just carving it out a little bit, just creating a little bit of separation between different things in the image here; maybe a little bit there. Actually, I went the wrong way. Let me put it on this side, a little bit over there. All right, so I think you guys get the idea of what I’m doing here. And let’s have a look and see what that does before and after. Let me turn it off. Okay, so that’s the brushing there, the lights and the darks. I probably want to do a little bit more. I’m probably going to create a third brush stroke. So, let’s grab New and I’m going to make this one quite large. And this one, I’m going to take my highlights all the way down and drop the Exposure a little bit. And I’m going to use this just to kind of darken up certain areas here. So, it’s kind of a more of darkening and I’m going to go in the corners here in the bottom. All right, so we can play around with this now, so if I want to take this and increase it, notice I can play around with these, so I’m going to bring the Exposure down a little bit there and let’s have a look at this one here. I’m going to select this one. And, of course you know, I can darken that more, see where I had quite it right there. So I’m just going to kind of bury it in there a little bit, maybe make those shadows a little cooler. Then, we’re going to grab this area. This is our highlight area and, of course, we can see what we’ve done with that. Look at that, so we can really increase it if we want. So this is the great thing about Lightroom. It’s non-destructive. We can do all these kind of things and I might just give this a slight warmth to it; not a lot, just a very, very subtle amount to make it look, you know, a little bit more of that beautiful sun hitting it. So, if we look at before and after now, this is where we started. This is where we’re at. The final thing I’m going to do is I’m going to add just a little bit of vignette. So what we’re going to do is click the brush to close that now, and then we’re going to go down to the vignette and this is going to be, under the Effects, this is the Post Crop Vignette. And I’m going to take that down and just add a little bit. See that around the edges to bring your eye into the photo. Now, the final thing I might do on this particular image is go down and maybe just touch the Exposure, just bring it up just a little bit, just to brighten it because we’ve done a lot of darkening and different things on it. So, if we look at this, we can see, there’s the before and there’s the after. And you can see how I can really bring out a lot of detail, a lot of tone, and start to sculpt this image. Now, if you like this kind of training, don’t forget to check out at PhotoshopCAFE. I have a comprehensive 13-hour course that’s called Lightroom 6/CC for Digital Photographers and that covers Lightroom 6 and CC. I also did Lightroom 5, 4, 3, 2, all the way back. I’ve done all versions of it, but that’s 13 hours of working in Lightroom from start to finish–every switch, every slider–and basically, I created that to teach people how to use Lightroom. So, anyway, I hope you guys enjoyed this tutorial. I’ve got more Lightroom tutorials, coming more Photoshop tutorials, coming at least once a week. Right now, I’m posting two or three times a week, so I hope you guys are enjoying these tutorials. If you do, don’t forget to become a subscriber if you haven’t already. And take that Like button. Pound that Like button into dust. Add a comment. Let me know what you like, what you don’t like, some extra tips, whatever. Let’s get a discussion going, and until next time, I’ll see you at the Cafe. If you enjoyed this quick start guide and you’re ready to take your skills to the next level, this is for you! This is THE award-winning A-Z guide to using Lightroom that will help you to master Lightroom (Or just get really good at it). One of the most-loved training resources is new for Lightroom 6 and Lightroom CC! Learn all the new features and workflows. 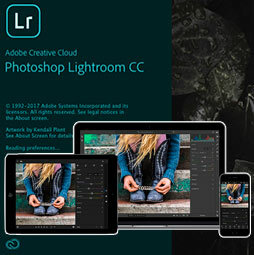 No matter your level, you can quickly master Lightroom 6 with effortless ease. One time payment, no ongoing “pay as you go” subscription that ends up costing much more than you planned. Excellent Tutorial! I especially liked the explanation of the Density and Flow sliders. Never really understood these. Thank you for sharing this. I am about to start working in lightroom more. I have been using PS for all of my editing and find the idea of changing kinda like going to the dentist with a sore tooth. I need to do it but gee really don’t want to take the time to create a new routine. You made this look painless. Thanks again for taking the time to help us out here do what we love to do. Also, I had a website that had terrible support so I dropped them and am looking for recommendations. I want to sell images on line. I would like the printing done by the site but want to be sure it is quality and not low end garbage. Do you know any that you find consistent in quality in a mid to upper range of quality printing? I’d love to recommend one, but I don’t have an experience with one of the online places I can endorse so far. Great tutorial! Well explained with good visual examples. I do, however, lose the cursor on your screen as it’s not very visible to start with. Could also be my tablet in watching this on; gotta try on my big screen. It’s there a way to make your cursor more visible? Looking forward to more quality tutorials!